Sixth past the finish line at the 8 Hours of Oschersleben, Moto Ain CRT won the Superstock class in Germany. The team also carried off the EWC Dunlop Independent Trophy, coming in ahead of Völpker NRT48 Schubert Motors by ERC and Tati Team Beaujolais Racing, to receive €4,000 worth of prize money. 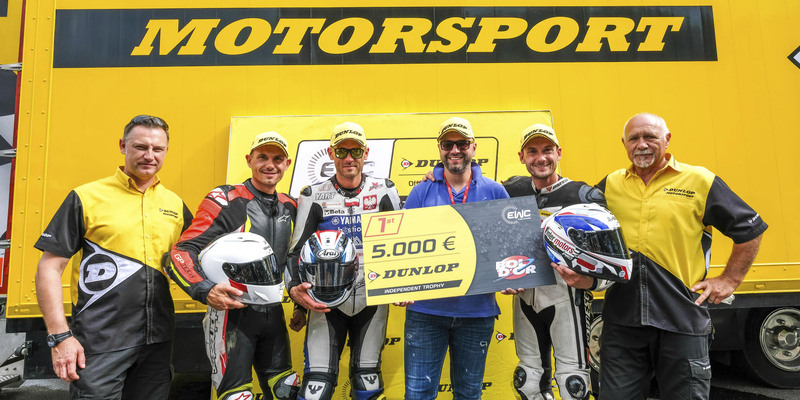 After winning at the Bol d’Or last September and finishing runner-up to Tati Team Beaujolais Racing at Le Mans in April, Moto Ain CRT carried off the EWC Dunlop Independent Trophy at Oschersleben, winning a €4,000 prize. Sixth past the finish line and winner of the Superstock class, Moto Ain CRT also moved up to top spot in the FIM EWC World Cup standings. The Yamaha #96 with Alexis Masbou, Hugo Clère and Robin Mulhauser in the saddle started a duel for victory halfway through the race with Völpker NRT48 Schubert Motors by ERC. Despite being handed a one-minute penalty for defective lights, and although Alexis Masbou had not yet fully recovered from a forearm operation, Moto Ain CRT finished ahead of Völpker NRT48 Schubert Motors by ERC. The BMW-mounted German team was spurred on by the fact of racing on home territory, and led the race in class for the first five hours, with riders Stefan Kerschbaumer, Jan Bühn and Lucy Glockner (the only female rider at Oschersleben) delivering a spirited performance. Völpker NRT48 Schubert Motors won a €3,000 prize. 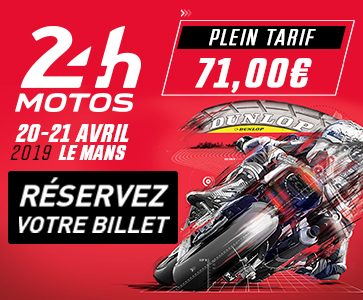 Julien Enjolras, Dylan Buisson and Kevin Denis rode Tati Team Beaujolais Racing’s Kawasaki to third place in the EWC Dunlop Independent Trophy, and picked up the accompanying €2,700 prize. The other prize-winning teams at the 8 Hours of Oschersleben were Ecurie Chrono Sport, Team April Moto Motors Events, Arlows Racing Team, Fullgas Racing Team #116 and KSB One Racing. 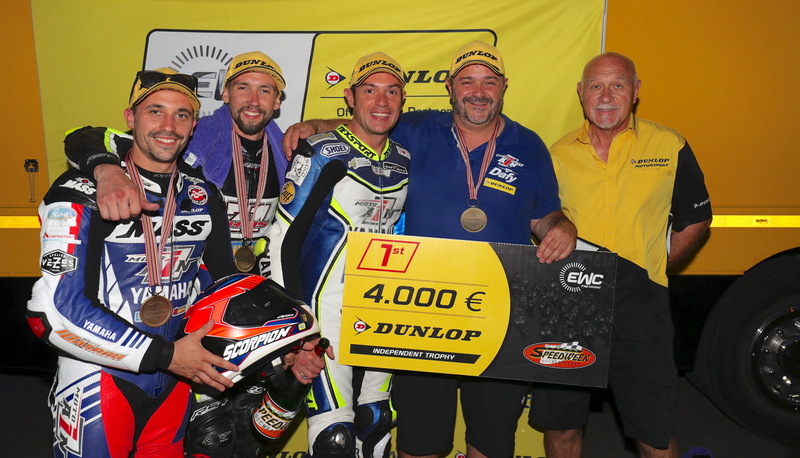 The EWC Dunlop Independent Trophy – renewed this season by FIM EWC promoter Eurosport Events, the organizers of each FIM EWC 2016/2017 race and tyre manufacturer Dunlop – gives backing to private teams using Dunlop tyres that do not benefit from direct support from a manufacturer.